Based on the Inishowen Peninsula in Donegal, the Lands of Éogain heritage group was supported through LEADER funding to run the 2017 Lands of Éogain Heritage Festival. The 2017 festival had diverse aims and a wide range of local benefits. It helped to promote Inishowen as a destination for world class heritage tourism, gathering leading academics and situating Inishowen’s heritage story in an international context. 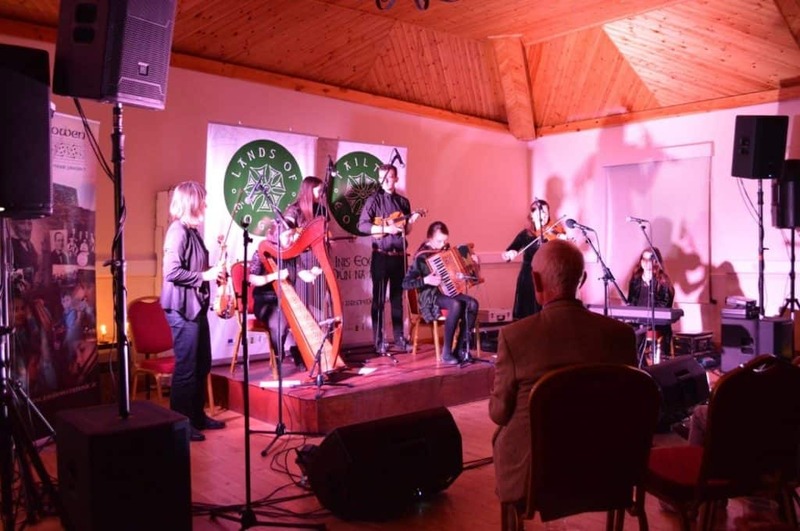 It also raised local awareness of Inishowen’s unique cultural heritage. According to Andrew Ward, Joint CEO, Inishowen Development Partnership “The Lands of Éogain Festival Heritage project is about local people taking ownership of their shared heritage, celebrating it and developing if for the benefit of all in the Inishowen Peninsula”. The festival was attended by national and international participants bringing off-peak cultural tourism to the area. This also generated wider spin-off local economy benefits such as to hospitality, food service and transport providers. The festival increased tourism activity on the Inishowen Peninsula in the off-peak season. Attendees were diverse such as academics, students, heritage enthusiasts and wider tourist visitors. The festival was attended by national and international participants from the UK, Northern Ireland, US, Europe and North West region of Ireland. The festival also generated wider spin-off benefits to the local economy engaging services of local tourism, hospitality, food service and transport providers. For example, the festival generated 94 bed nights for local accommodation providers. The Lands of Éogain Heritage Festival enhanced the profile of Inishowen as a hub for cultural tourism. Advertising, local media and social media coverage supported this. A range of promotional materials were distributed. The festival gained local newspaper coverage such as in Donegal Now and The Derry Journal. It also gained coverage through social media such as by local, national and international groups. More broadly the festival provided a forum for networking and idea exchange between groups that without the festival would not have come together. The festival also had local community benefits, increasing appreciation and understanding of local cultural heritage. The local community had the opportunity to engage in field trips to archaeological excavation sites showcasing the wider work of the Lands of Éogain Heritage group. For more information, read the full case study on the Lands of Éogain Heritage Festival. This project was supported as part of the LEADER Programme 2014-2020 under Theme 1 ‘Economic Development, Enterprise Development and Job Creation’ and Sub Theme ‘Rural Tourism’. The Local Action Group is Donegal LCDC and Implementing Partner Inishowen Development Partnership.